We have fantastic news to report for the first quarter of 2012! Based on our personal experience since the start of the year, Decatur’s Oakhurst neighborhood is on the road to recovery. The number of homes sold in Oakhurst was down from the same time last year, but homes are selling faster and the average Oakhurst home sales prices are up. 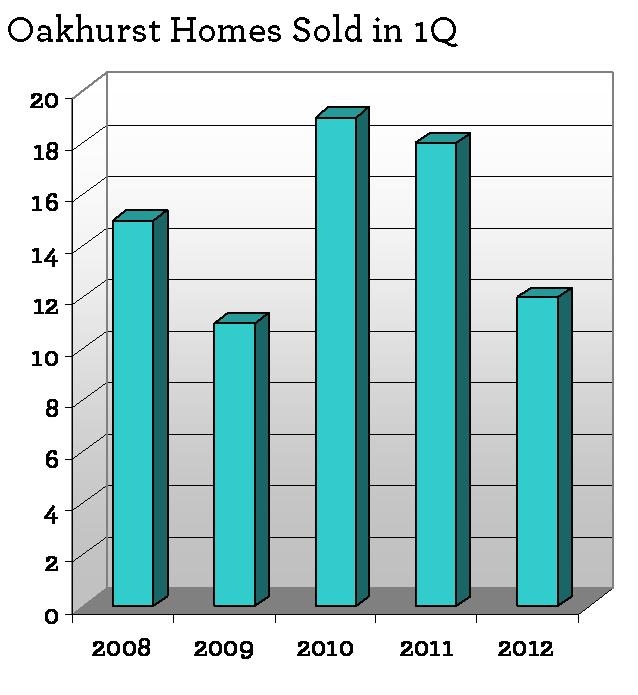 As you will see from the report below, there is a definite POSITIVE SHIFT in the Oakhurst real estate market. Only 12 homes sold between January 1 and March 31, which is quite a bit less than the previous two years, but the average time to sell a home in Oakhurst is down by more than 10% and the average home sales price is moving up the charts! Based on my personal experience and talking with neighborhood home owners, there is still some hesitation to list their homes — unless they absolutely have to sell. Because of that, there were fewer “quality” homes on the market in the first quarter of 2012. When there are fewer homes on the market, buyers begin submitting multiple offers and the best homes sell quickly and for top dollar (basic principals of supply vs demand). 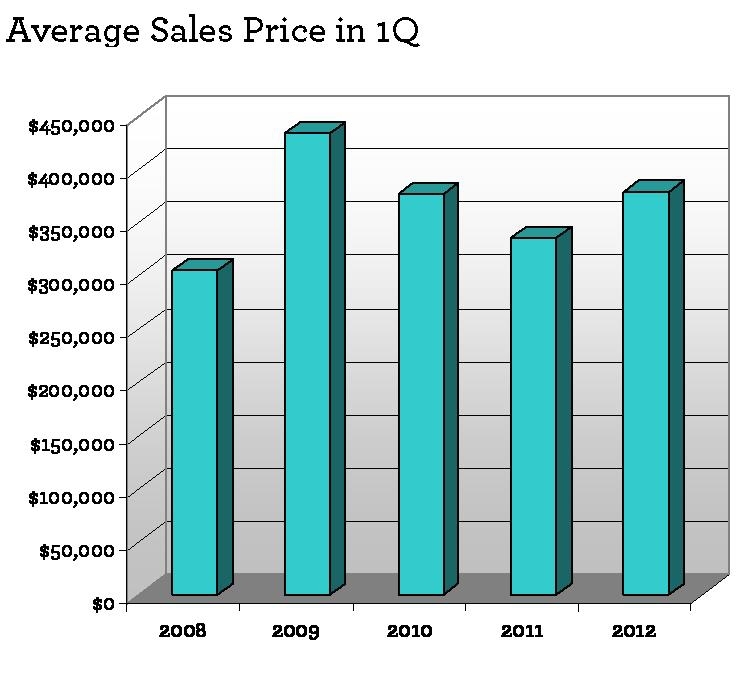 With an average sales price of $379,061 in Q1, it is the highest its been since 2009! Homes sold on average in 51 days (compared to 58 days in 1Q 2011 and 64 days in 1Q 2010) AND they sold (on average) for 101% of the listing price. In my professional opinion, this is a great sign that the Oakhurst real estate market is on the mend! If you are a home buyer who is looking in Oakhurst, keep in mind that homes are selling quickly, with multiple offers and they are selling at or OVER the listing price. If you are a home seller, you can see that if you price your home correctly, you will receive multiple offers — and hopefully get your home sold in the first week or two! Have questions about the Oakhurst real estate market update and/or are thinking about selling your Oakhurst home, please call anytime at 404.432.1844. We would be honored to help. Located just outside of Downtown Decatur (zip code 30030), Oakhurst has quickly become one of Intown Atlanta’s most desirable neighborhoods for young professionals and families. The active Oakhurst neighborhood hosts several festivals and events that bring in thousands of Atlantans each year — as well as several smaller, neighborhood events, like the weekly live Jazz on the lawn in the Fall to the Oakhurst Wine Crawl, Arts Festival, Wine Crawl and special events for the children in the neighborhood. If you are looking for excellent City of Decatur schools, an active neighborhood association, local eateries and pubs, and friendly neighbors, Oakhurst has it all! What do you get for the money? The homes in Oakhurst Decatur range in style from 1920s bungalows to post-war cottages, with new Craftsman homes speckled in between. Home values range from about $220K to $675K, with the median in the upper $300s. 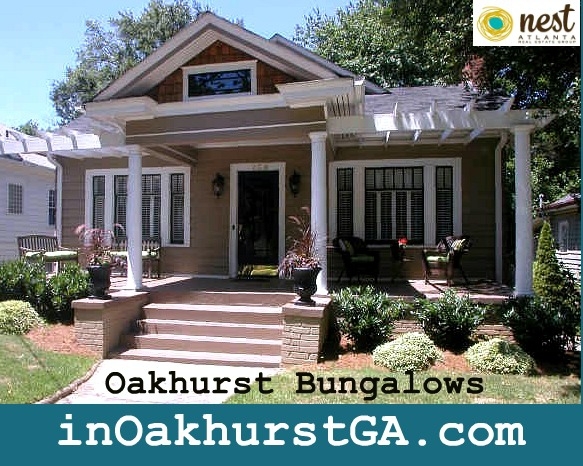 This entry was posted in Oakhurst, Oakhurst, Real Estate Market Stats and tagged home values, Homes for sale, oakhurst decatur, oakhurst ga real estate.